Dr. Robert A. Van Ness is a Professor in the Finance Department at the University of Mississippi (in the School of Business). Prior to arriving at the University of Mississippi, Robert was on the faculty at Christian Brothers University (Memphis, TN), Marshall University (Huntington, WV), and Kansas State University (Manhattan, KS). Dr. Van Ness is the Bruce Moore Scholar in Finance and director of the doctoral program for the School of Business at the University of Mississippi. Dr. Van Ness's primary area of research examines financial markets and the trading of securities (commonly referred to as market microstructure research). Dr. Van Ness has published in a number of journals, including: The Journal of Financial Economics, The Journal of Financial and Quantitative Analysis, Financial Management, The Journal of Financial Markets, The Journal of Banking and Finance, The Journal of Futures Markets, The Journal of Risk and Insurance, The Journal of Financial Research, The Financial Review, Real Estate Economics, The Journal of Business, Finance and Accounting, The Review of Quantitative Finance and Accounting, as well as The Review of Financial Economics. Dr. Van Ness has also won a number of awards for his research at finance conferences. 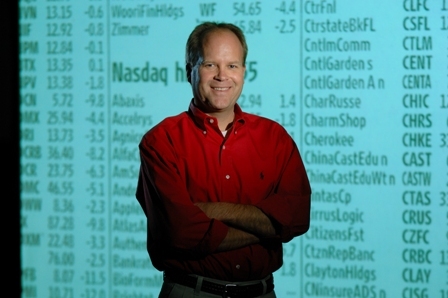 Professor Van Ness has won best paper awards at the Financial Management Association Annual Meeting (1998), the Southern Finance Association Annual Meeting (1999), the Eastern Finance Association Annual Meeting (2004, 2007, and 2008), and the American Real Estate Society (2009). Dr. Van Ness has taught undergraduate, MBA, Ph.D., and executive education courses in financial markets, investments, investment theory, security analysis, as well as corporate finance.